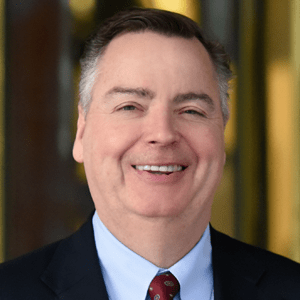 HMP Communications Holdings, LLC Announces Susquehanna Growth Equity, LLC as Majority Equity Holder - Berkery, Noyes & Co., LLC. HMP Communications Holdings, LLC, a leading provider of healthcare content and continuing medical education events, announced today changes to its investor structure. 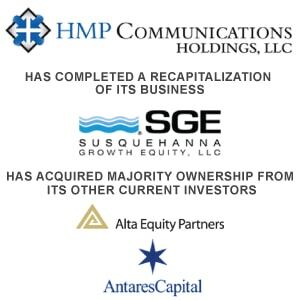 The holdings company has completed an agreement with Susquehanna Growth Equity, LLC (SGE), under which current investors, Alta Communications and Antares Capital, have sold their interests in HMP to SGE, a private equity group and existing investor. With the sale, SGE becomes HMP’s majority equity holder. This complementary relationship will bolster HMP’s growth strategy of a multi-channel approach to healthcare education and engagement. HMP’s portfolio of content, 250+ annual live events and continuing medical education covers six therapeutic areas, from psychiatry to interventional cardiology. HMP’s content and education are pegged to both emerging healthcare trends and changing clinician needs. Recent launches, including the Journal of Clinical Pathways and the Patient-Centered Medical Home Congress, were developed in response to the growing focus on value-based care. Berkery, Noyes & Co., LLC served as financial advisor to HMP Communications Holdings, LLC for the transaction. HMP Communications Holdings, LLC (HMP), a collaborative formed by HMP Communications, LLC and the North American Center for Continuing Medical Education, LLC (NACCME), is a multi-channel leader in healthcare content and education, with a mission to improve patent care. The company produces clinically relevant, evidence-based journals, events and accredited, continuing education for the healthcare community, across a range of therapeutic areas. Its brands include Consultant, the monthly, award-winning journal relied upon by primary care practitioners and the Symposium on Advanced Wound Care (SAWC), the largest wound care meeting in the world. For more information, visit http://www.hmpholdings.com. Susquehanna Growth Equity, LLC (SGE) invests in growth stage companies in the information services, internet and software sectors. The firm is backed by a unique and patient capital base that allows management teams the freedom and flexibility to maximize growth. Notable prior investments include MMIT (healthcare data aggregator), Zyme Solutions (channel intelligence information provider) and Outbrain (content recommendation engine). To learn more, please visit us at http://www.sgep.com.